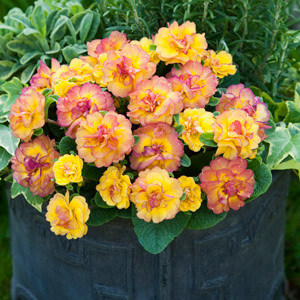 Primula is an easy to grow compact with fully double flowers in rich colours which bloom profusely throughout the season. Add colour to your winter garden, suitable for pots or borders. Frost tolerant, prefers a lightly shaded position, and these can be easily divided.